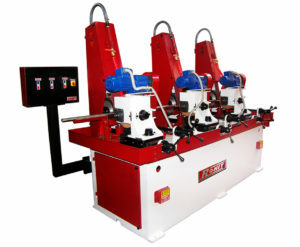 Heavy Duty Three Head Centerless Grinding Machine for Round Tubes, Pipes & Bright Bars. Capacity : 10 to 250 mm Dia for Tubes & upto 50 mm Dia for Bars with 7.5 HP Motor. To be the acknowledged leader in manufacturing Surface Finishing Systems. 1) Supplying internationally competitive Abrasive Surface Finishing Systems. 2) Staying ahead of the competition by innovating new products and services. 3) Providing world class application knowledge and technical support. 4) Ensuring Quick after Sales Service. ‘Rohit’, Main Road, Dahanu Town – 401 601. Copyright © 2019 Rohit Polishers – Surface Finishing Systems. All Rights Reserved. Designed & Developed By Growthwell.